A Swedish Alien in California: In Chicago! A pretty uneventful trip. Saw a movie and listened to music. Now I want food before next security at terminal 5. Two hours until the SAS flight to Stockholm. Thats a scary sight for me! Haha! No, that's a nice sight! 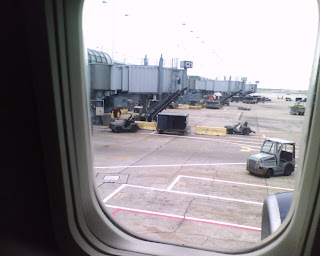 You've just arrived safely to Chicago _after_ flying!